« How often should you redesign your website? How to implement a Successful Website Redesign? Redesigning a website can be a challenging task and while it’s not as time consuming as it used to be there are things you need to carefully consider. All too often designers just focus on the layout while ignoring the functionality, SEO content and usability. With the right website redesign, your site can get a significant ranking boost. 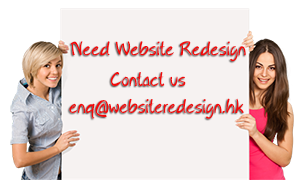 Hence, it is vital to implement a successful website redesign. But how to ? Data benchmarking is necessary to determine what part of your website works, which have the highest conversion, most popular, highest ranking and so on. Community mapping, keyword and market research have to be done as they will form the basis of the entire website redesign process. Aside from making the site easier to navigate, it should be compatible with mobile phones, tablets and other devices from which a user might access the pages. Every page should be inventoried as well as all the incoming links and subdomains, and redirecting will also be important as the URLs will probably change as well. Without a redirecting strategy it will be next to impossible to retain whatever SEO ranking the page has. If you want to reroute the traffic to the redesigned URLs, a redirecting strategy is necessary. Incoming links should also be audited thoroughly, but there are many tools available that can do that. Once all links have been inventoried you can use 301 redirects to map them to their respective locations. To avoid complications you should base the redirect on the proposed site layout, content and navigation. The first thing you need to ask yourself is how people will find your website. SEO is essential of course but you also need to consider changing the URL structure. If possible, shorten the name and remove superfluous characters, and the name should be easy to remember and raise brand / product awareness. In other words, a website redesign gives you the opportunity to get rid of any extraneous elements in the site, and you can also redesign the sitemap so it’s easier to navigate. The content type should determine how the website redesign process works. Are you going to publish lengthy articles, a blog, promote a product or is it mostly going to be visual? These questions have to be answered before the redesign begins so you can integrate the content. Your site’s SERP placing depends on numerous factors, and you need to consider them carefully. The most important are improving site authority by providing quality content, heighten search visibility with keywords and condensing content for easier navigation. Finally, remember that redesigning doesn’t necessarily mean adding more images and videos. In fact you should look for ways to reduce the page load times.